Please park in the parking lot near the Akins building and walk into the building. If you come around 7:25 a.m. or later, it is best to park to the left of the Akins Building to avoid getting stuck in the carpool line in the mornings. Please sign-in your student every morning. Please park in the parking lot near the Akins building and walk into the building. Parking under the awning is not permitted. Please have identification ready should a staff member request it for the safety of your student. Thank You. We invite you to come sign out your student in the Akins Building. If a staff member is not present to help you, you may find your child's location listed on the Before/Aftercare Bulletin board located by the sign in/out notebook. If you plan on picking up your Extended/Aftercare child between the time of 2:45 p.m.- 3:00 p.m., please call the Lower School Office by 2:30 p.m. and request your child to be put in the carpool pickup and drive through to pick him/her up. Between 2:45 p.m. - 3:00 p.m. all Aftercare staff is working together to make sure every student is picked up from their class, arrives to their respective destination safely, and is accounted for. Safety is a number one priority for us in Before/Aftercare. Hours for Aftercare are from 2:45 until 6:00. A $25 late pick-up fee will be assessed for every quarter hour after 6 p.m. that a student is not picked up. 1. Treat others with God's love. 2. Obey the 1st time. 3. Play safely and appropriately. 4. Exhibit a learning spirit. -All rules found in the Student Behavior Guidelines from the Parent-Student Handbook apply to before & after care as well. Each child who has honored all After Care rules will be given a special reward during After Care. 4. Immediate contact with parent. 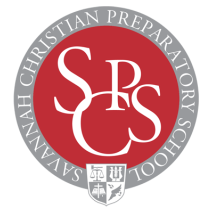 Severe misbehavior and/or multiple Savannah Christian Lower School Disciplinary Forms may result in expulsion from the Aftercare program.